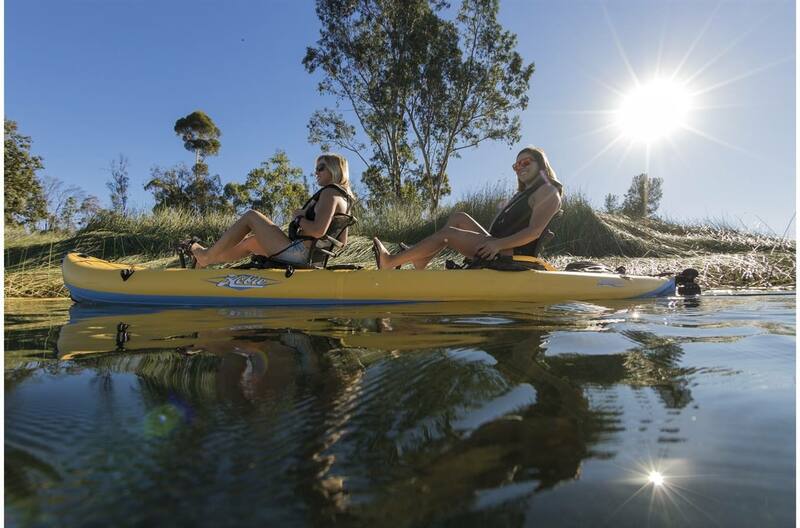 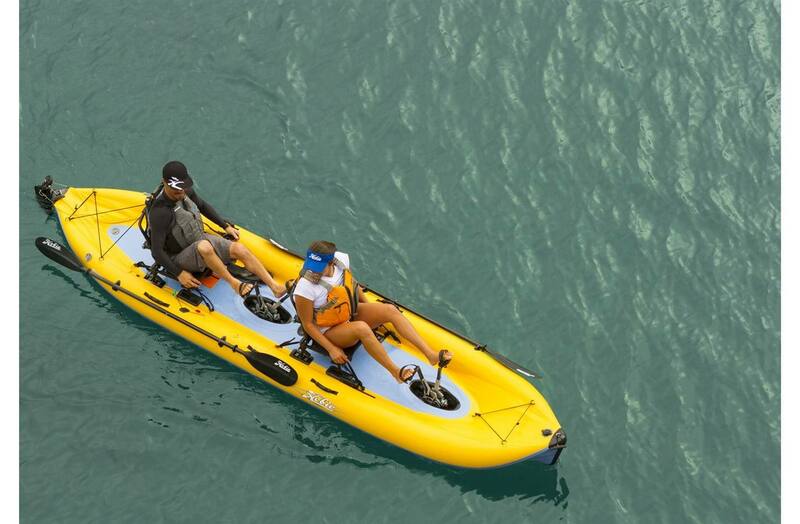 The Hobie i14T is the ultimate tandem, inflatable kayak. 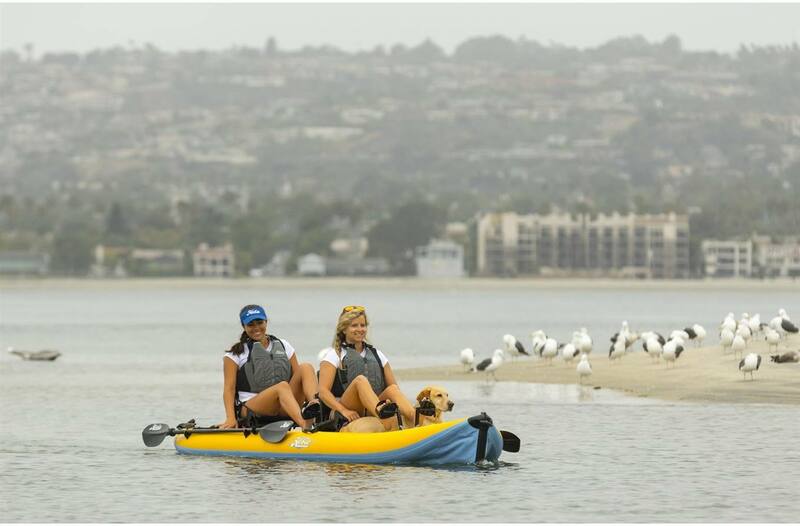 Two MirageDrives simplify locomotion, and an optional Sail kit enables you to enjoy everything from touring your tandem kayak to an all-day, multi-sport adventure. 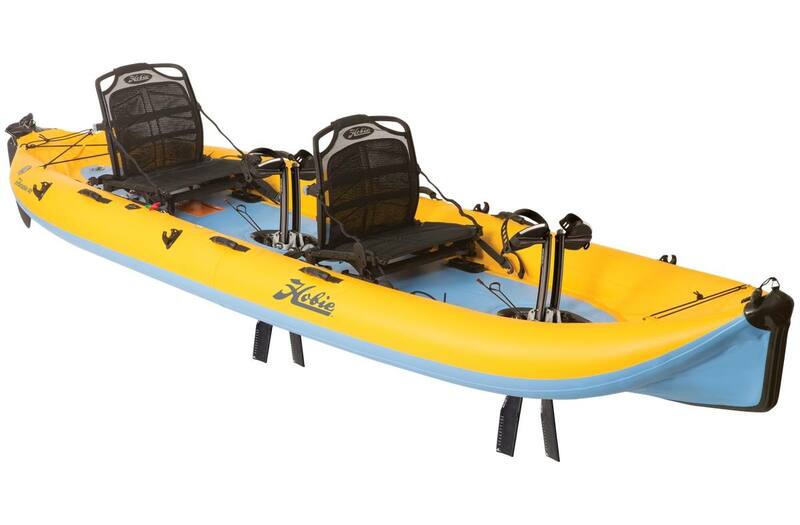 The i14T's wheeled storage bag and its pump make hauling, storing and inflating the boat a snap.